The first step on the road to a better life is admitting you have a problem… in the form of a bad tattoo! If you have a bad tattoo that was inked by an aspiring tattoo artist who needed a guinea pig, someone who couldn’t spell, or even someone great who just gave you a tattoo you now hate, there’s no need to live with it long-term. 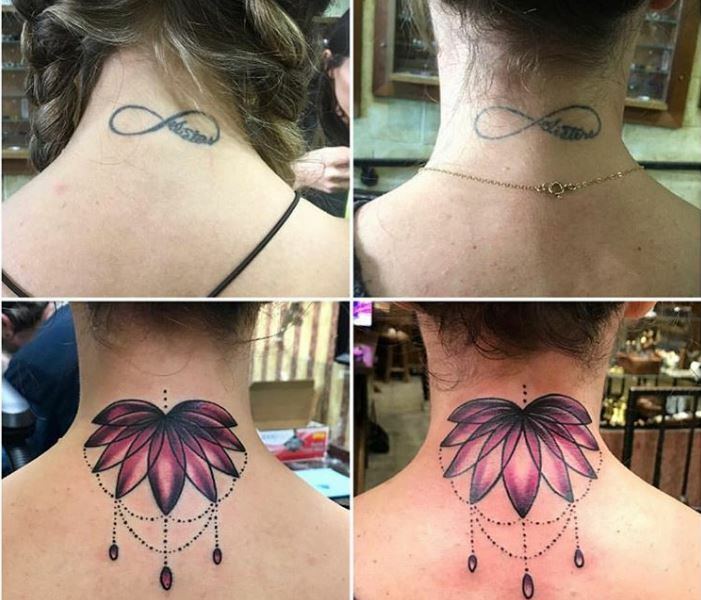 There are so many talented tattoo artists who specialize in cover-up tattoos just waiting for people like you to step into their shops, admit they have a problem they need help with, and begin the renewing process of ridding their bodies of bad ink. Where should you start if you want to get a great tattoo cover-up in place of your bad tattoo? Start with The Steps, like “Admit you have a bad tattoo and that you need someone to fix it for you.” The classic 12-step model provides a pretty solid roadmap for dealing with some of life’s other addictive problems, so why not use it to help you turn your bad tattoo into a good one. Sometimes it can be simple, where we can redo and add to existing tattoo to change the look. In this case, the actual cover/ redo can be much smaller. We encourage you to come in and talk to us about finding your particular solution. Admit that you have a bad tattoo and that you need someone to fix it for you. 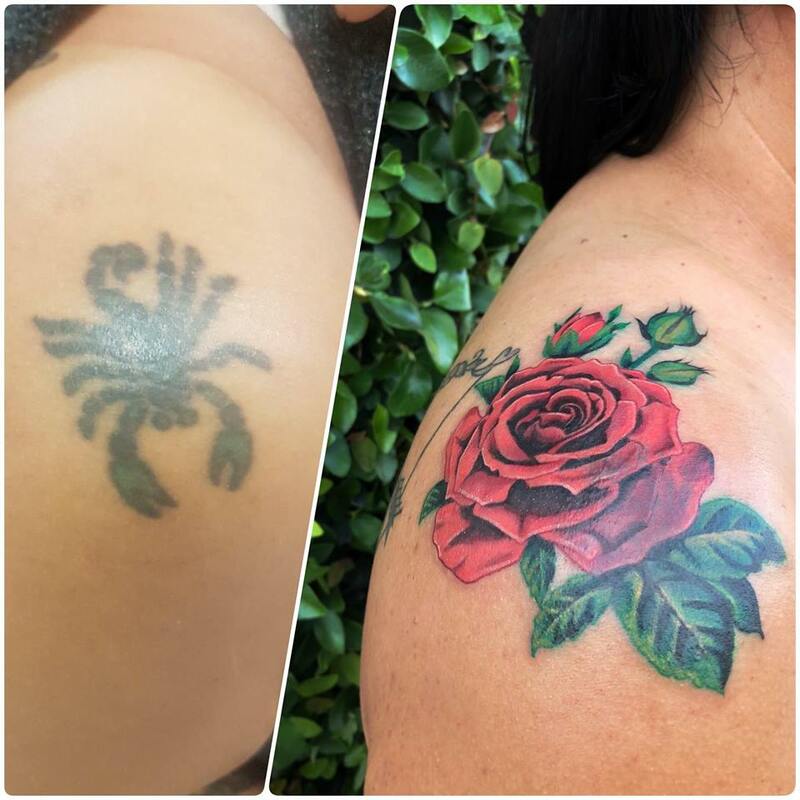 Believe that a talented tattoo artist who specializes in cover-ups can restore your body’s beauty by replacing your bad tattoo with a carefully-crafted cover-up. 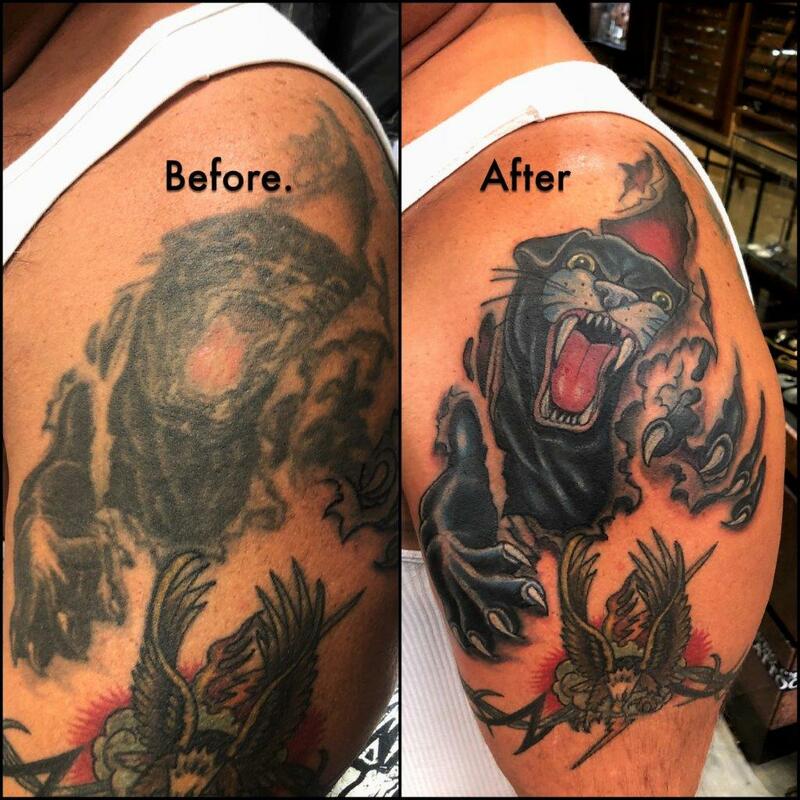 Make a decision to turn your problem over to a tattoo artist who you’ve researched extensively, who has a great portfolio that includes before and after pictures of his or her cover-up tattoo work, and who you’ve taken the time to interview. 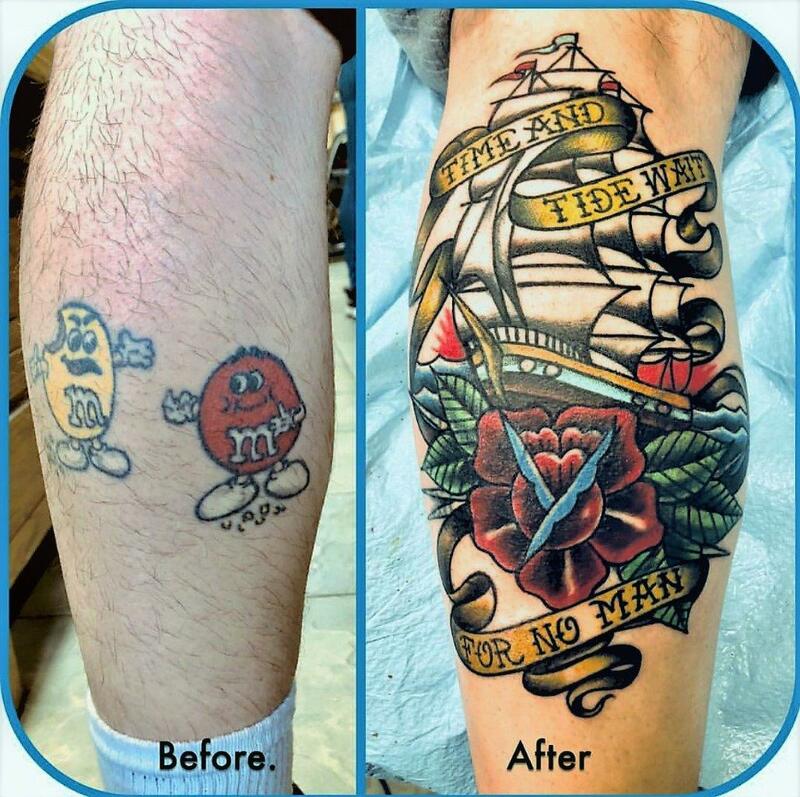 Take inventory of your funds and make sure you have enough money to get a really good cover-up tattoo, with extra money left over for the one to three touch-up sessions you’ll likely need to finalize it. Remember: Cheap tattoos are bad; good tattoos aren’t cheap. Talk to your artist about what went wrong with your first tattoo and what it’s taught you about what you want out of your cover up tattoo. If at all possible, present your artist with multiple cover-up ideas that illustrate those points that you know you want to be different in your cover-up tattoo–preferably designs that have great meaning to you or that you generally find aesthetically pleasing. The goal is to avoid having regrets this time around, so choose wisely! 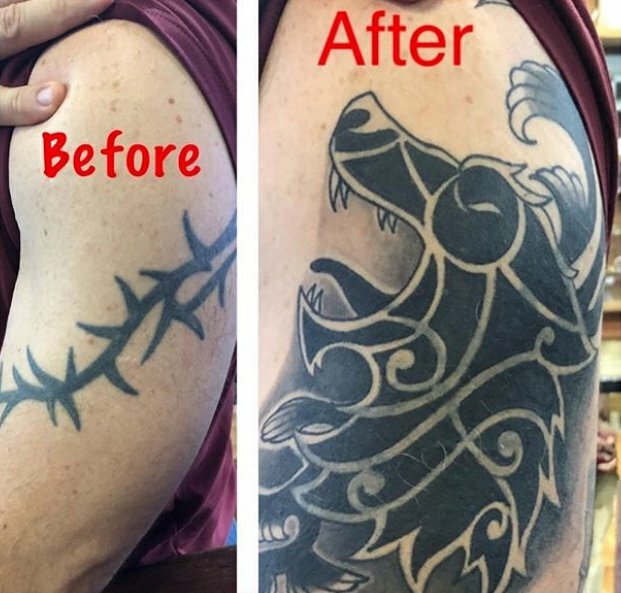 Have a few sessions of laser tattoo removal before getting a cover-up tattoo, if your artist strongly recommends it based on the age/darkness of your original tattoo and the design you want for your cover-up tattoo. 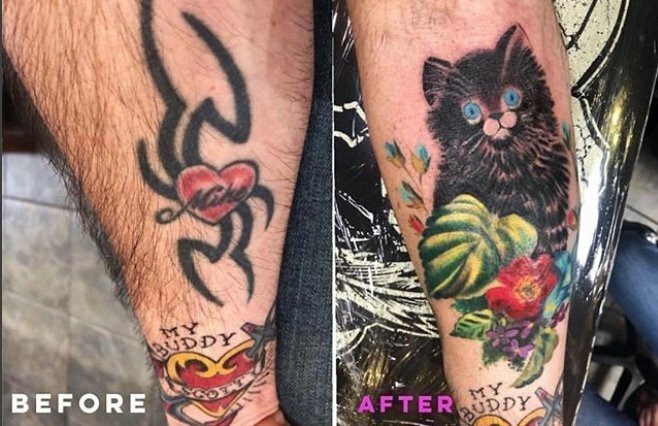 Laser tattoo removal really does work, and it could mean the difference between the success and failure of your cover up tattoo. Be willing to hear reason if/when your artist makes suggestions about your preferred cover-up tattoo design. If s/he recommends a different color palette with more cool blues, greens, purples, blacks or browns or says that more detail and shading will make your cover-up more successful, listen! 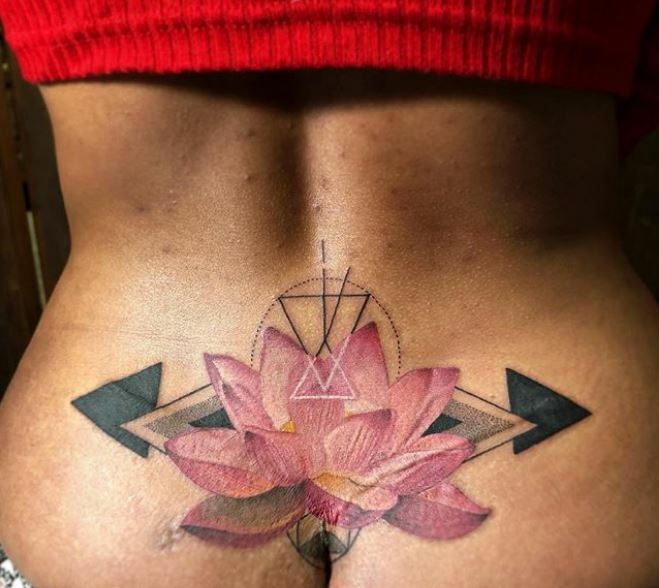 Be open to at least looking at the modifications your artist is suggesting, knowing that any changes made will be put in place to give you the best cover-up tattoo possible.Understand that a good cover-up tattoo almost always has to be bigger than the original tattoo it’s covering–sometimes 2x bigger, if not more. Let your tattoo artist place your cover-up design at the optimal angle that will best cover up your old tattoo and make any on-the-spot embellishments needed to finalize the new design. Make sure you’re happy with the size, placement and final design before your artist begins work on your cover-up tattoo. It may require a little vision to be sure you’re happy with all aspects because your old tattoo will be clearly visible beneath the outline. Try to be open-minded, but don’t settle if something’s bothering you. Go back for as many touch-up sessions as are needed to fully cover your old, bad tattoo. Having had your eyes opened to the beauty of good cover-up tattoos, share the gospel and let others know that they don’t have to l live with their bad tattoos either! 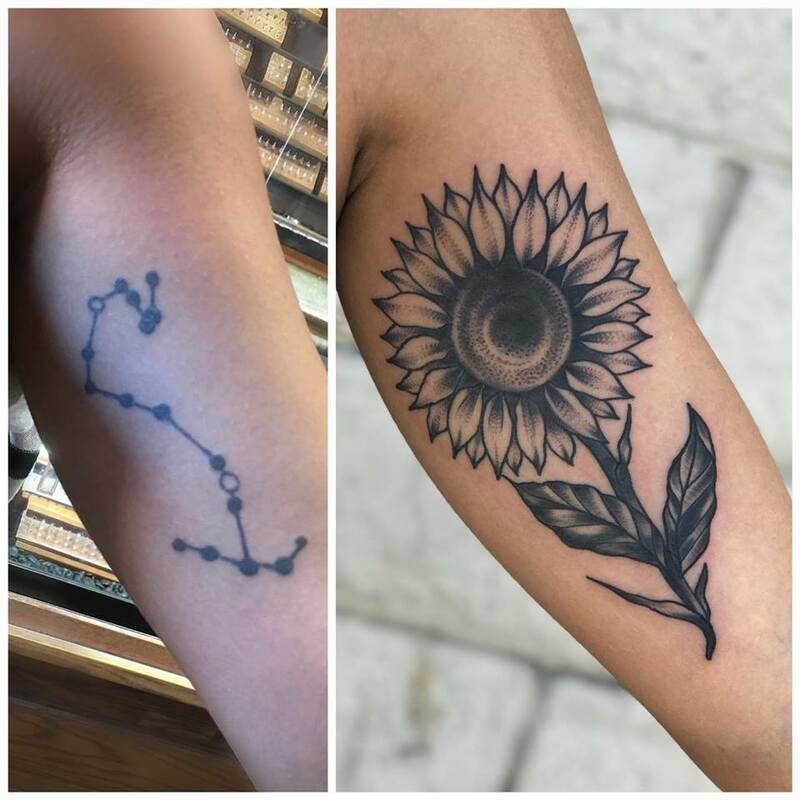 Tattoo Coverup by Becky G.